Your LDS Driving School in Kingston Upon Thames provides safe driving courses that will help you to read the road environment, recognise potential risks and avoid potential accidents. It is one-on-one, conducted on-road in the real traffic environment, tailored to your needs. The training comes to you, we pick you up and drop you off at the times and locations suitable for you in the Kingston area including Berrylands, Canbury, Chessington, Coombe. Kingston upon Thames, Kingston Vale, Malden Rushett and Motspur Park. Our service and approach is second to none. We quickly assess your driving skill level and tailor your driving lessons to address your individual needs. One-on-one tuition from our experienced and approved driving instructors ensure results come fast. We’ll have you licensed and on the road in no time. The driving courses listed below are available in Kingston and the whole of the South West of London. Practice of all type of road conditions and layouts during learning. 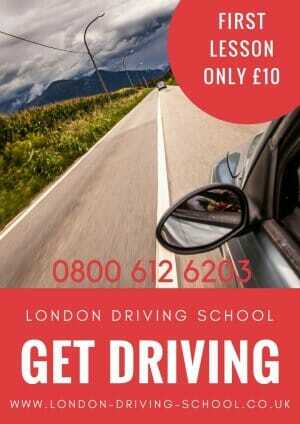 Choose our Driving Schools in Kingston Upon Thames. Do not wait to enjoy the pleasures and freedom of motoring. 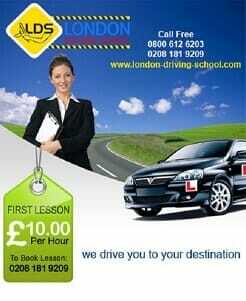 Join London Driving Schools in Kingston Upon Thames for quality driving learning within your budget and time frame. Once you have passed your driving test with flying colours, you may want to get your own car to fully enjoy the freedom. You can explore some of the great deals on new or second hand cars by approaching trusted dealers in your local area. The freedom of driving a new car is truly something amazing. Refresher Driving Courses, This driving course is ideal for those wanting to brush up on their driving skills or for those who have not driven in the UK or London and what to brush up on their existing motoring skills. Advanced Driving Courses,for those experienced drivers in Kingston upon Thames wanting to take their driving skills and ability to the next level. Motorway Driving Courses for those drivers who have already passed their driving test and are wanting to gain extra confidence and experience in their motorway driving abilities. Pass Plus Driving Courses Kingston, to give drivers extra confidence once they have passed your driving test, in some London Boroughs you will get discounts on these driving courses along with substantial insurance discounts when you go to insure you and your car. Crash Driving Courses and Lessons in Kingston, Simply put another name for intensive driving lessons, See below. Intensive Driving Courses for those needing to learn quickly due to a career change, house move or an ultimatum from a loved one. Automatic Driving Lessons in London for those drivers unable to work a manual car, clutch and gears proficiently enough to pass their driving test and need a driving licence, Automatic cars are simpler to drive but please note that if you pass your test in an automatic car you can not drive a manual car unless you pass your driving test in a manual car also. Practical Driving Lesson in Kingston, all our driving lessons are car based, so essentially practical, to ensure you spend your time learning to drive in a car, ensuring you build your confidence and experience whilst sitting behind the wheel of a car. This is the best way to learn to drive in Kingston. See our Testimonials to find out why you should be joining London Driving Schools in Kingston Upon Thames.